Jeremy Caldera’s experience at the 2016 Summit created new forward-thinking opportunities for his once-traditional AV integration company. 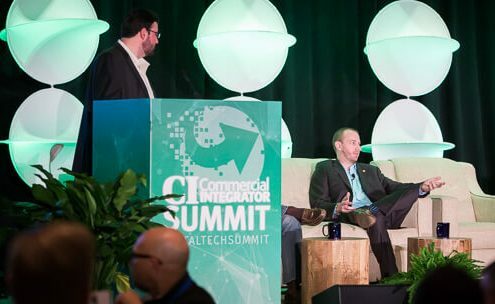 When IAS Technology CEO Jeremy Caldera was at the 2016 Commercial Integrator Summit, he knew he needed to look toward the future. At the time, his company was still called Integrated Audio Systems, the name it had maintained since its founding nearly 25 years earlier when its focus largely was house of worship sound systems. However, it is now a full-service audiovisual integration firm and, as such, rebranded as IAS Technology earlier this year. 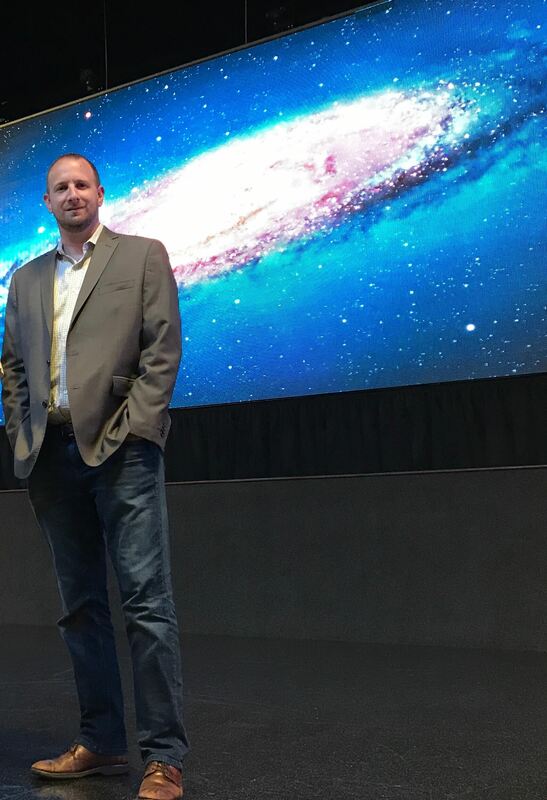 IAS Technology CEO Jeremy Caldera stands in front of a Delta Displays LED video wall he designed and installed at a major entertainment venue, similar to the one he is installing for a Fortune 100 company. Not content to simply fit in with the current state of the AV industry, Caldera had goals of pushing IAS into the future. The company hasn’t done much work with LED video wall technology, but he wanted to change that. And, thanks to one-on-one meetings with Delta Displays and Absen at the Summit, he has been able to take major steps forward in that space. In the months following the Summit, Caldera has quoted several projects with both companies, and landed a contract with Delta for a video wall at a Fortune 100’s manufacturing training facility. The entrance had an old signage wall featuring CRT displays running video from looped VHS tapes. IAS Technology replaced that with a LED video wall measuring nearly 16-feet by nine-feet. It will be used to play videos in different areas of the wall, but can also double as a screen for presentations. The project is still in the construction phase, but so far Caldera says he is very happy working with Delta and hopes this could lead to more opportunities to work together down the road. He feels similarly about working with Absen, with whom he is designing a custom layout for a legislator. Working with LED video walls for the first time is just one forward-thinking takeaway for Caldera from the CI Summit. Heading into the event, he also felt like he needed to find ways to incorporate recurring revenue services into his business plan. He says he learned a lot from the presentations at the Summit and the conversations he had with other attendees. He says everyone seems to be approaching recurring revenue services with the same idea, but are doing so slightly differently. So, gathering all that information allowed him to craft a model that would be the best fit for him. So far, IAS Technology has signed several enterprise-level, multi-room contracts for these types of services, such as preventative maintenance and multi-tiered technical support.